Computers, as deterministic machines, cannot generate truly random numbers themselves. They have to extract randomness from their inputs. This means things like the user's keystrokes, mouse movements, network packet times, hard drive seek times, and so on. If you're lucky, your computer might have a built-in true random number generator. Late-model Intel CPUs have one, but most older CPUs don't. Even if yours does, you have to wonder if it's backdoored by the NSA. Random numbers are extremely important for cryptography. They're used to generate the secret keys that protect our data. Because they're so important, we might wonder if there's an easy extreme-paranoia way to help the computer generate them. 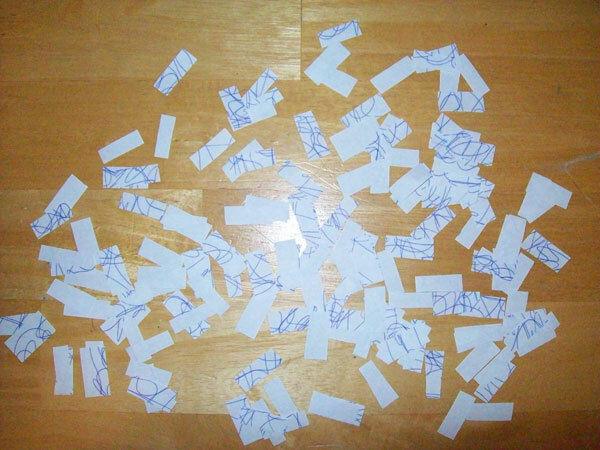 This page describes a process that anyone with a sheet of paper, a pen, scissors, a drinking glass or other container, and a digital camera can do to generate a good random number. Humans usually generate random numbers by tossing coins or throwing dice. To get a random number suitable for cryptography, we'd have to toss 128 coins or throw 50 six-sided dice. Obviously, doing it with real coins or dice is cumbersome, noisy, and takes a long time. We need something better. In this approach, we make our own "coins" out of paper, toss them all at once, then photograph the result to generate a random number. The whole process should take no more than 10 minutes. Step 1: Prepare the "Paper Coins"
First, take a sheet of paper and scribble on one side as randomly as you can. 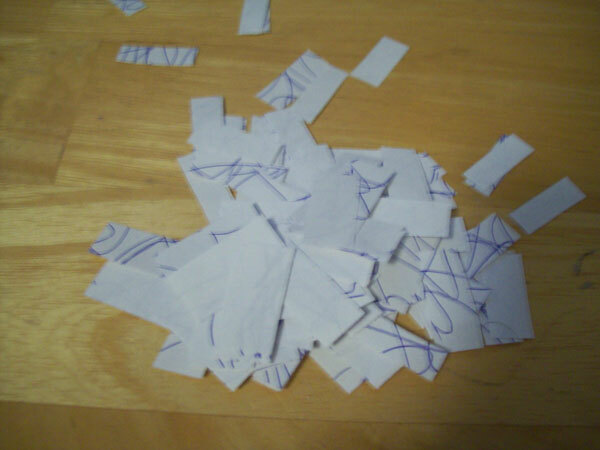 Try to make the scribbles "dense" so that when we cut the paper into tiny peices, each peice has a mark on it. This should take about two minutes. 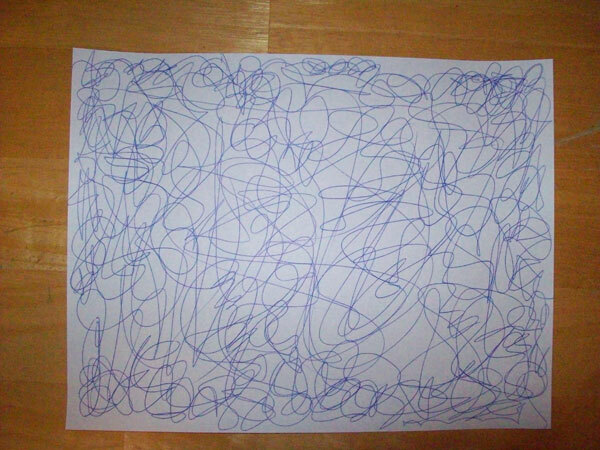 When you're done scribbling, fold the paper in half three times. 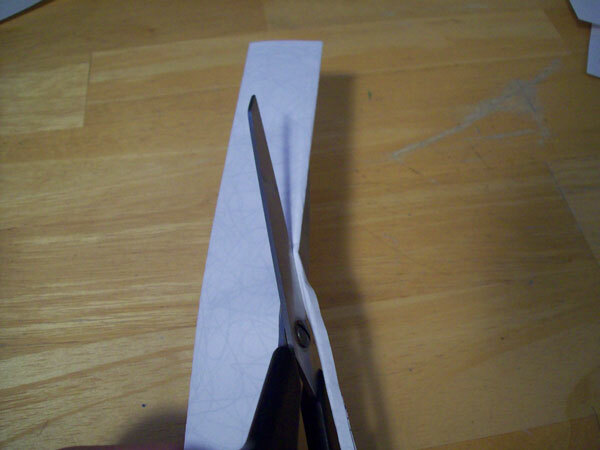 Then cut both long edges off. 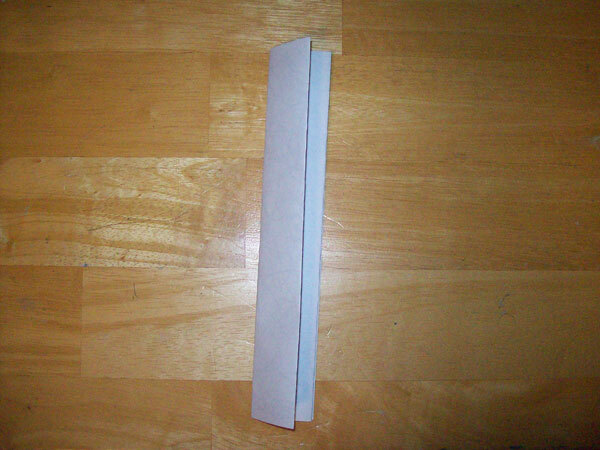 This removes the "folds" so that you'll have 8 detached peices of paper. Next, hold all 8 peices at the same time and cut it into half-inch segments. Try to make at least 16 cuts (more is better). 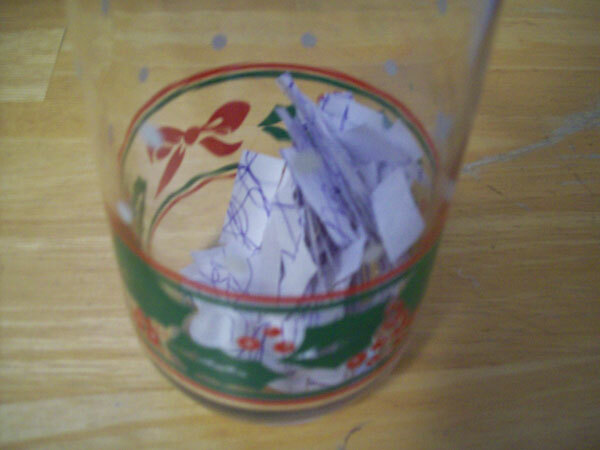 Put the segments (there should be at least 128 of them) into a glass or other container (bigger is better). Make sure nobody is watching you (close your blinds) or can hear you (turn on some music), then shake randomly for at least two minutes. Pour the paper segments out of the container onto a table. Spread them out so each piece is visible, but try not to flip any over, and don't disturb their orientation too much. Take a photograph, upload it to your computer, then hash the image file to get the random number. On Linux, you can copy the file into /dev/random to add the randomness to the system's random number generator. If your adversary finds the image file or learns what orientation the pieces fell in, they'll be able to recover your random number. To prevent this, make sure you overwrite the image file after you're done with it. To dispose of the paper segments, put them back in the container and shake for a little while before throwing them out. If you want to be extra cautious, place each piece ink-side-up, then sort them according to how much ink is on the piece. This destroys all information about how they landed on the table. Doing that takes a really long time, so... shaking should be fine. If you used a digital camera with an SD card, make sure you overwrite the entire SD card, or better, overwrite it then physically destroy it. If you used a scanner, unplug the power cord for a few minutes to remove any trace of the image in non-volatile memory (warning: some scanners save every image to a hard drive, in which case you're out of luck). Using a webcam attached directly to your PC is a much better option. Okay, I wrote this as a joke, but I think it gives a good "real-world" analogy to some of the difficulties computers have when generating random numbers for cryptographic use. It should actually work, though. There are poorly-random scribbles on at least 128 "coins" flipped and oriented in decently-random ways. I'd be very surprised if the result didn't have at least 128 bits of entropy.